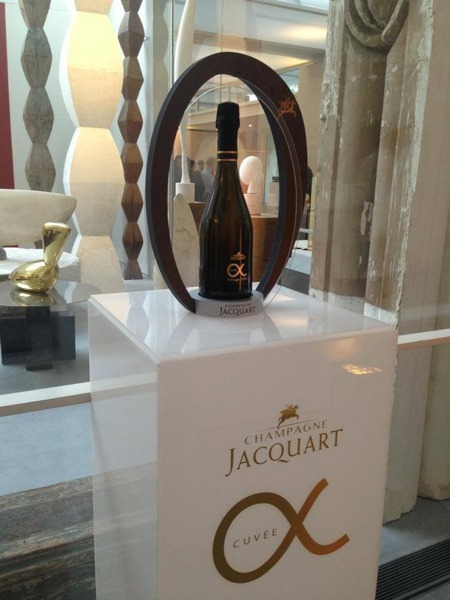 Jacquart Champagne’s new prestige cuvee 2005 alpha was launched last Tuesday evening at the Atelier Brancusi, the studio of the Romanian artist, situated next door to the Pompidou Centre in Paris. Not so fast. His sculptures may be breathtaking in their simplicity, but his life was not simple. He left his peasant family in Romania to travel across Europe to attend the Ecole des Beaux-Arts. He travelled to the United States with his sculpture, Bird in Space and customs were not convinced what he was bringing in to the country was art; he had to fight to stop them placing a duty upon its import as an industrial item. This went on to become the test legal case on the definition of modern art. And then there was the Romanian government, who refused to acknowledge Brancusi in his lifetime leaving him to bequeath his studio to the French government on his death. 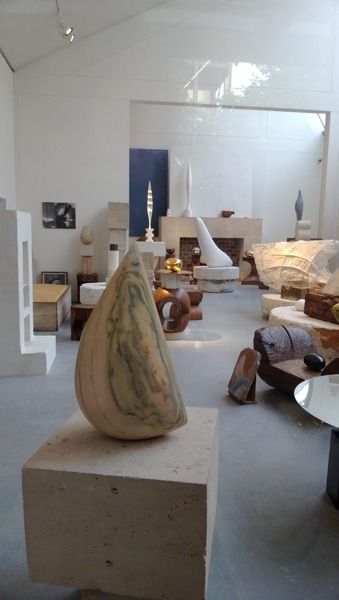 Although now he is celebrated, and his beautiful smooth sculptures represent some of the best of twentieth art, you can see in pictures of Brancusi working in his studio it was not a meteoric rise. Behind the seamless sculptures, there was a lot of sheer hard work. Champagne houses know how to put on an event: it is a lesson in attention to detail. Jacquart had created a seamless experience, even down to the ice buckets – a merging of wood and glass that reflected the atelier but also the philosophy of “bringing together different components in their Champagne.” (As you can imagine, this sounds a lot better in French). 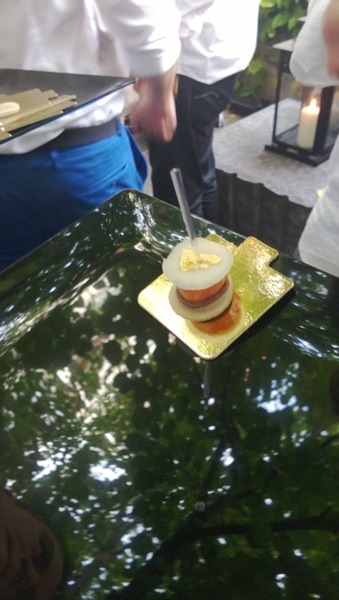 The canapes featured flecks of gold leaf. But it was not always this glamorous for Jacquart. Jacquart grew from a collective of hard-working grower families. In the 1960s, they formed a cooperative to create their own Champagne rather than sell the grapes to the big houses for less than they thought it was worth. The Jacquart 2005 alpha is the next step for the house. It is the first vintage cuvee for Jacquart with the benefit of the excellent 2005 vintage. Consisting of 50% Pinot Noir and 50% Chardonnay it is ultra dry with good weight and searing intensity on the palate. The grapes are sourced from four crus from the coolest zone in Champagne known for its Pinot Noir, Montagne de Reims – Mailly, Verzenay, Villers-Marmery and Trépail. The high percentage of Pinot Noir in the blend lends itself to food – and we had some exquisite canapes to match. While Jacquart Mosaique is light and fruity, the alpha 2005 has substantial depth and seriousness. Yet, under the 32 degree outside in the garden, it also worked as an aperitif. If only Brancusi was alive today, he may have enjoyed a golden glass of Champagne when he stepped outside his studio on such a hot day.